CHICAGO (WLS) -- Chicago police officer Stephen Boyd was shot when two thieves tried to rob him last March. 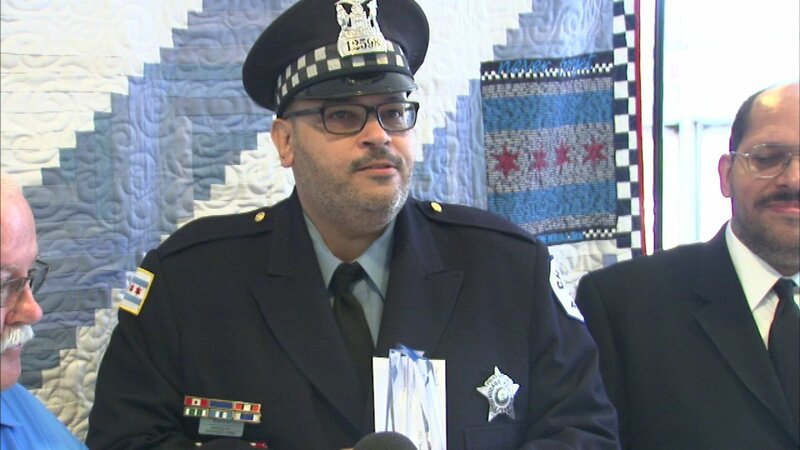 On Wednesday, he received recognition for his service when the Chicago Police Memorial Foundation named him "Officer of the Month." Boyd was arriving at his home when two robbers approached his car. At one point, they exchanged gunfire with Boyd, who was shot in the leg. Boyd's twin brother came out of the home to help pull him to safety. Both robbers were caught and arrested.